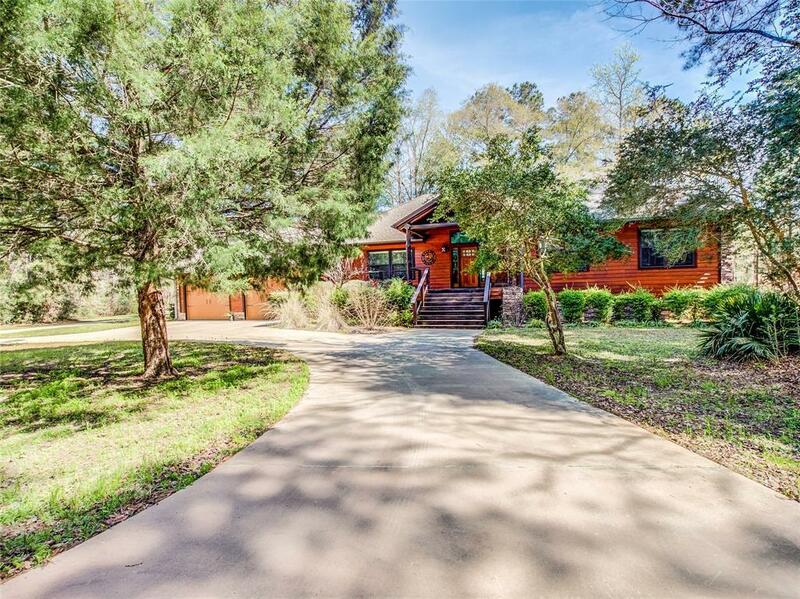 Welcome to 46 Deer Ridge located in beautiful Artesian Lakes, just north of Houston. 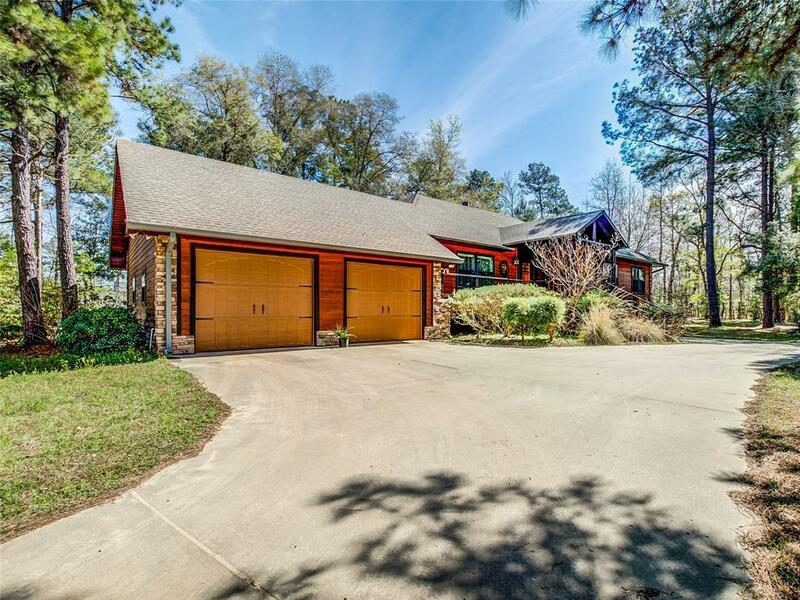 This gorgeous secluded waterfront home is built of cypress and stone with a wall of windows across the back side of the house. 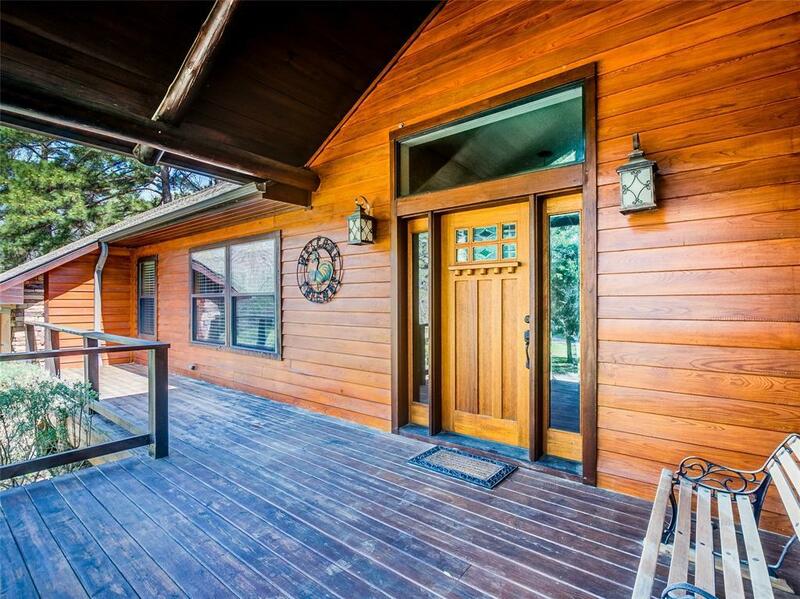 The large circular driveway provides ample guest parking and leads to a very inviting front porch. 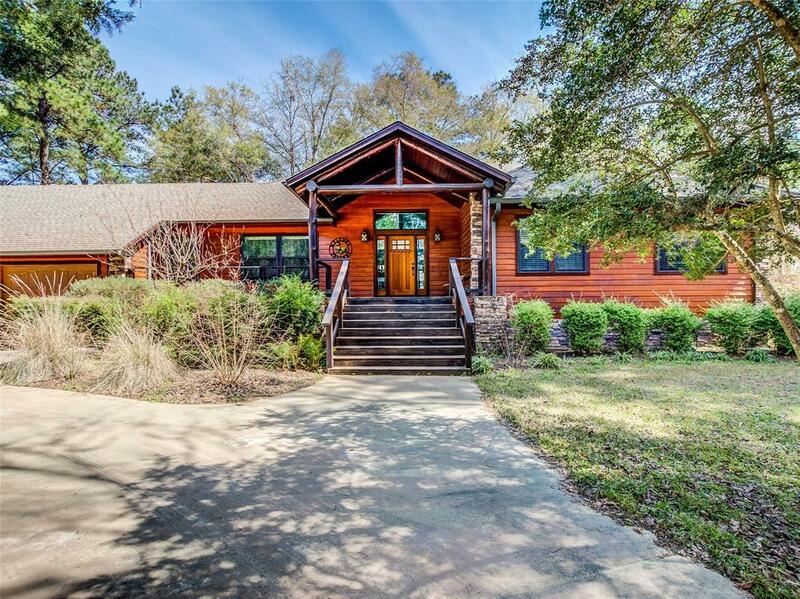 Once in the Foyer you are greeted with an incredible view of the spacious living/dining room, peaceful woods, and the lake beyond. The chef's kitchen offers beautiful cabinetry, ample storage, gorgeous granite counter tops and a large breakfast bar. Additional features include Knotty Alder interior doors, a striking stone fireplace with custom built-ins and a beamed ceiling in the living room. There are too many incredible features to mention here so please enjoy the photos. While the address is Cleveland, it is actually in Romayor, a small town 18 miles NE of Cleveland. Management Company Artesian Lakes Community Assoc.